Dr. Philip Adler graduated from the University of Georgia with a Bachelor of Science Degree in Chemistry. He attended the Ohio College of Podiatric Medicine in Cleveland, Ohio receiving a Doctor of Podiatric Medicine Degree in 1973. While in school he was a member of Pi Delta National Honor Society. Dr. Adler completed his surgical residency training at Parkview Hospital in Philadelphia, PA. In 1974 Dr. Adler established his podiatry practice in Jacksonville, FL. 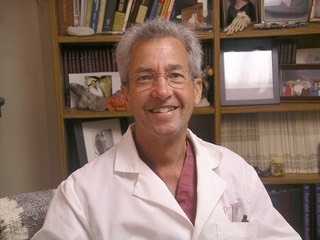 Dr. Adler is the past Chief, Section of Podiatry, Memorial Hospital of Jacksonville. He is past president of the Northeast Florida Podiatric Medical Association. He has served on civic organization boards and is past president of the Board of Directors, Arthritis Foundation of Northeast Florida. Currently, he serves as a consultant for various insurance companies and the State of Florida. He is a Diplomate, American Board of Podiatric Surgery and a Fellow, American College of Foot and Ankle Surgeons. He is a member of the American Podiatric Medical Association and the Florida Podiatric Medical Association. Dr. Swapnil Patel graduated from the University of North Carolina, Chapel Hill, NC in 2007. He earned the degree B.A. Biology & Exercise and Sport Science. He attended Temple University School of Podiatric Medicine, Philadelphia, PA receiving a Doctor of Podiatric Medicine Degree in 2013. Dr. Patel completed a three year Podiatric Medicine and Surgery Residency at the Dekalb Medical Center, Decatur GA, June 2016. He earned an added credential in Reconstructive Rearfoot/Ankle Surgery (PMSR/RRA). 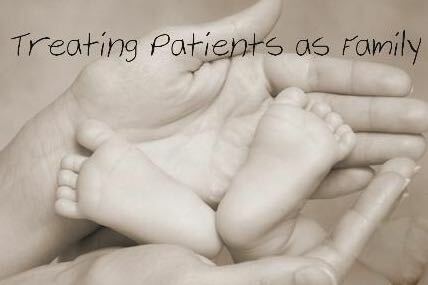 As specified by the American Association of Colleges of Podiatric Medicine “Residencies that can provide a sufficient volume and diversity in reconstructive rearfoot and ankle procedures may grant an added credential in RRA." Dr. Patel was Chief Resident 2015 through 2016. Dr. Patel has presented numerous lectures on Reconstructive Surgery of the Foot, Ankle and Leg. He co-authored Forefoot Surgery in the Management of Rheumatoid Arthritis awaiting publication in the International Journal of Rheumatology and authored Drug Induced Nephrotoxicity published in the Podiatry Institute Update 2015. Dr. Patel is a member of the Podiatry Institute Faculty, the American College of Foot Surgeons and the American Podiatric Medical Association. Dr. Michael Toney was born in Jacksonville, Florida and is a graduate of The Bolles School. His undergraduate studies were completed at the University of Florida. Dr. Toney attended Barry University School of Podiatric Medicine in Miami and was awarded a Bachelor of Science Degree and Master of Science Degree prior to receiving his Doctor of Podiatric Medicine Degree in 1990. While at Barry University he was awarded the Herbert Feinberg Scholarship and was a member of Pi Delta National Podiatry Honor Society. From July 1990 through June 1992 Dr. Toney received his surgical training at Larkin General Hospital in Miami. 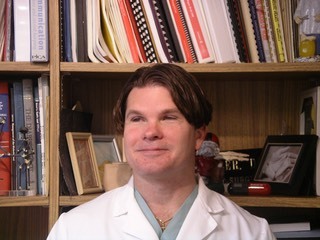 He joined the staff of Adler Podiatry and Wound Clinic in 1992. He has been an active staff member of Memorial Hospital of Jacksonville where he served as Chief of the Section of Podiatry. Dr. Toney is a Diplomate, American Board of Podiatric Surgery, Diplomate, American Board of Podiatric Orthopedics and Primary Podiatric Medicine, and Fellow, American College of Foot Surgeons. He is a member of the American Podiatric Medical Association and Florida Podiatric Medical Association.